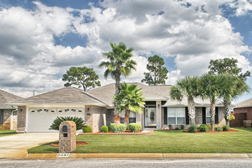 Panoramas in Paradise is located on the beautiful Gulf Coast where we are pleased to provide a wide range of Real Estate Photography services to meet all your Interactive Media needs. We travel for custom work anywhere in the United States and are part of a large network of Virtural Tour providers world-wide. No matter where your job is, we can get it done! In the challenging real estate market, the proper presentation of listings has become increasingly more important. With over 90% of home shoppers turning to the internet before they pick up the phone, it is more important than ever to increase your reach online and deliver a lasting impression. Please allow us to introduce ourselves on behalf of Panoramas in Paradise, your real estate photography and property marketing experts for the Florida and Alabama Gulf Coast! Virtual tours have become one of the most important tools for selling a home. 92% of home buyers consider the addition of property photos to an online listing to be very important (NDP Group). The average online listing with a virtual tour receives 38% more views than listings without tours (REALTOR.com internal logs). Virtual tours are like having a 24x7 open house--available online without agents or the home seller having to show the property. It's a tool to help you and consumers pre-qualify properties, saving everyone time. More than 2 million people per month are using REALTOR.com, the official site of the NAR (Jupiter Media Metrix). Real Tour Vision is a PicturePath Partner with homestore.com which allows virtual tours powered by Real Tour Vision to be posted to the #1 real estate web site with more than 1.7 million listings (as of 2011). Internet buyers spend 1.9 weeks investigating homes and neighborhoods before contacting a realtor as opposed to 4.6 weeks for traditional homebuyers. Internet homebuyers on average purchased a more expensive home than traditional homebuyers ($403,752 versus $321,950. Panoramas in Paradise strives to provide the best looking photography, virtual tours, and better marketing than our competitors.